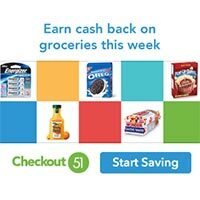 Checkout 51 is the easiest way to save money on the brands you love! We're currently saving over half a million Americans and Canadians money every day. I enjoy using checkout 51 but it would be good to have a wider selection on healthier foods such as fruits and vegetables and dairy. Organic would be great and since we do not have a Sam's Club in our area, more coupons for Costco would be nice as well. Customers would purchase healthier products if it came with a coupon.